• Schedule your session. Consult with Tim Raab to plan, review your needs and specifications. 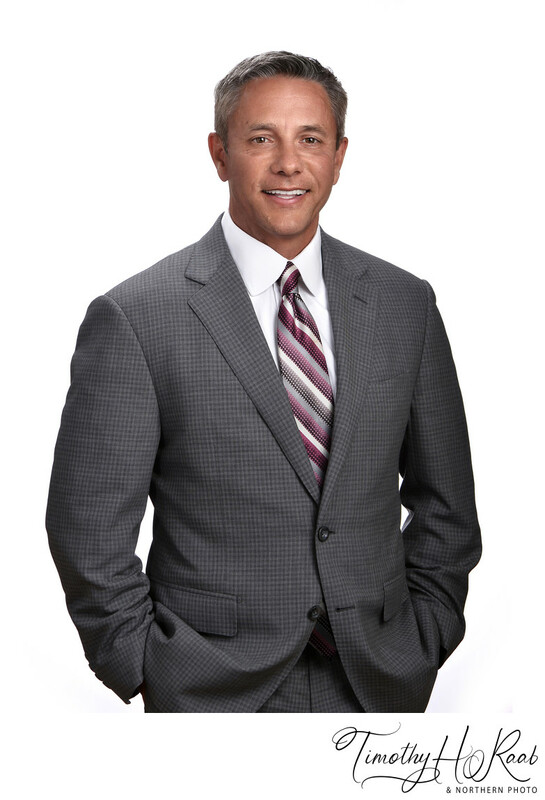 For business headshots, if your company website has a standard background and posing style we need to match, let Tim know before your session appointment date. • Read the free on-line preparation advice. 'What To Wear' Link. Please email or telephone Tim if have questions on preparing. • At the Studio: Enjoy a great shoot. We start with preparation improvements and clean-up (minimize oily facial shine, lint removal, etc.). Then a brief portrait session, the goal of which is to make you look approachable and smart. We stop when there are several great poses to pick from. • You'll love Photoshop: One selected best pose is subtly polished/enhanced/beautifully edited in Photoshop for optimal reproduction in all media. 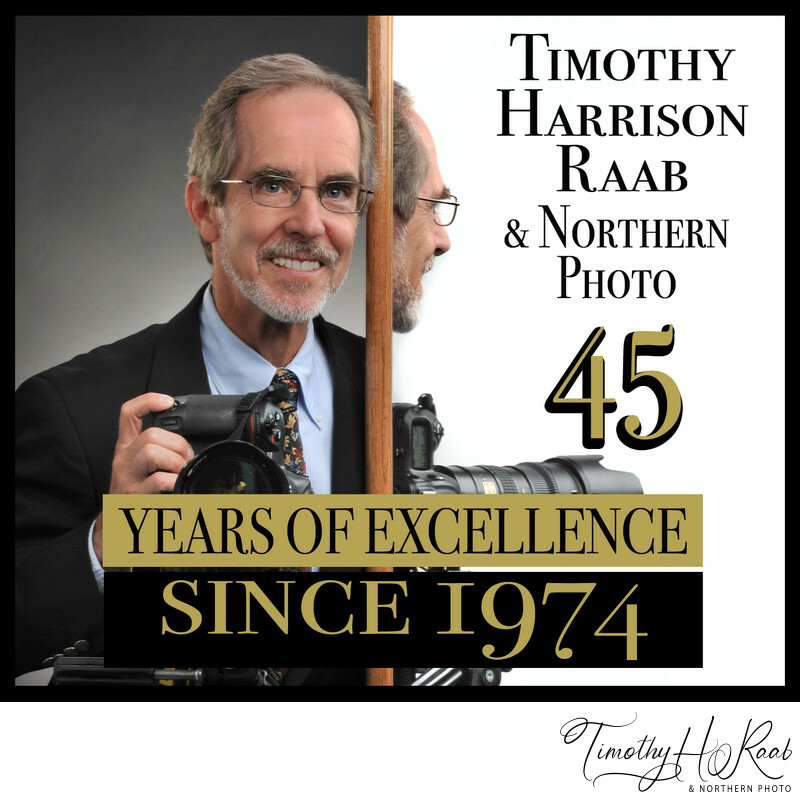 Tim Raab performs finite local adjustments, clean-up, and subtle retouching* of the best pose for a beautifully edited headshot. The final image is polished for optimal reproduction in all media. When Tim polishes the best pose, most people are fascinated watching, and give their personal input. At the conclusion, the final beautifully edited/polished pose is sent to you via email, normally with a couple hours, in high resolution jpeg format plus 3 or 4 duplicate files in popular smaller crops. Custom sizing requests for ERAS medical application photos, business cards, designer layouts, etc. are no problem. Normally, book a full hour for immediate turnaround: to prep, photograph, select the best pose, and polish the best pose, assuming one outfit, style, location. Price $135. MORE OPTIONS? CONTACT Tim Raab for a price quote for additional outfit changes, background settings, styles, additional locations, with additional poses polished. All additional fees based on additional time invested. * Retouching: Fix excessive stray hairs, blemishes, reducing eye bags, toning down excessive redness in skin tones & allergy-red lines in whites of eyes, soften age lines, subtly whiten teeth, slight weight reduction, and more. 99% of the time, our goal is to keep retouching subtle, light and natural. It's essential that it look believable. You will love the way you look! Digital make-up can be applied, but book an extra 30 minutes because there is usually lots of experimenting. It's fun. • Payment: Cash, credit cards, or corporate accounts. • See Headshots--Studio Style gallery page for samples of popular backgrounds. • See Portrait Prep / What To Wear page. "Attractive people are harder to reject in every context. My profession is to help people look subtly more attractive."